All kinds of house siding can be prone to the accumulation of mold and algae throughout the year. So how can you prevent or eliminate the green funk that grows there? 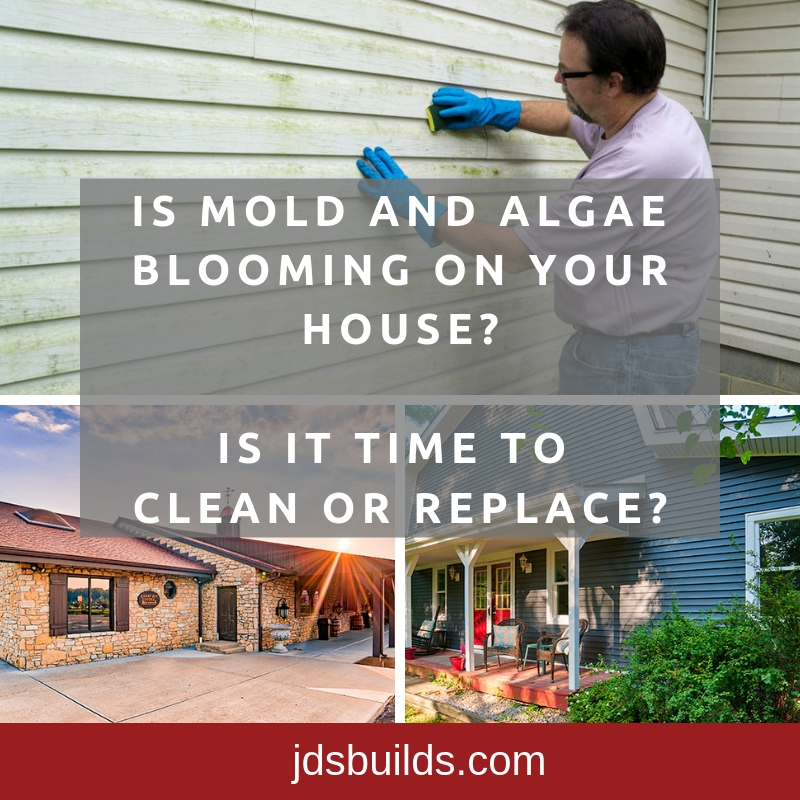 First, let’s look at why siding is susceptible to the mold and algae. Whether the siding is wood or vinyl, it actuallyhas small holes in its surface. Thisis what allows the mold spores to take hold. The mold will then grow depending on the amount of moisture that the house is exposedto. The two worst seasons are late spring, due to the sun and humidity, and at the end of autumn, for the same reasons. This mold is found in two different forms: dark, blackish moldand green-lookingalgae. Mold develops more on the north side of houses due to the lackof direct sunlight. Since there is less sunlight, the moisture level remains relatively higher there. Thiscreates the perfect environment for the growth of mold and algae. Algae and Mold are dangerous to the respiratory system. If the gunk has been allowed to grow and flourish for long enough, it could eventually work its way to the inside of your house. Thiscould cause hazardous conditions. 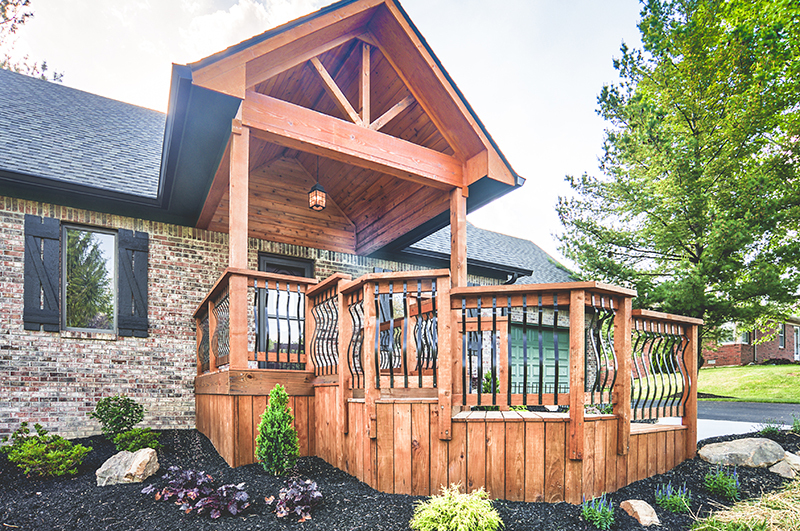 If you’re worried that the exterior of your home needs replacement, call us at 317-483-3093. The Josh Smalling Roofing and Restoration professionals want to make sure your house and your family are taken care of. Additionally, keeping the exteriorof your house clean shows that you take pride in your home and will increase propertyvalues. Instead of power washing, which can be destructive by driving water into the small holes of the siding, consider washing it yourself. By combining powdered oxygen bleach with water, you can remove the mold and algae without the use of abrasive and powerful water streams. After allowing the mixture to sit and fizz up on the siding for about ten minutes, scrub itwith a brush. Then use an ordinary garden hose to rinsethe siding. You’ll be amazed at the results. 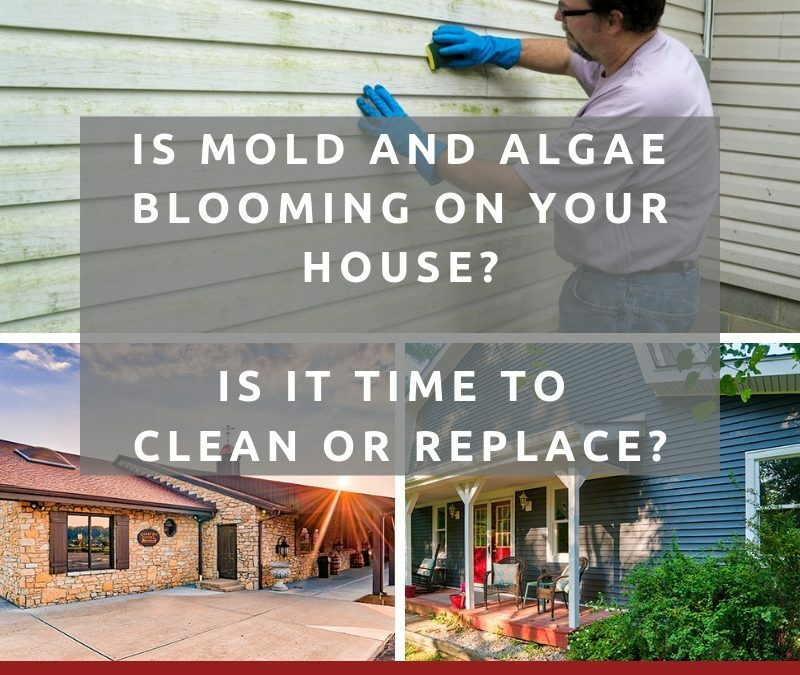 Whether it’s due to mold and algae, or it’s just time to update your house, Josh Smalling Roofing and Restoration offers siding replacement. Replacing the exterior of your houseis something that should be leftto the professionals. We carefully assessthe exterior and consider your personal preferences while staying within your budget. We can even design something especially for youand your family. 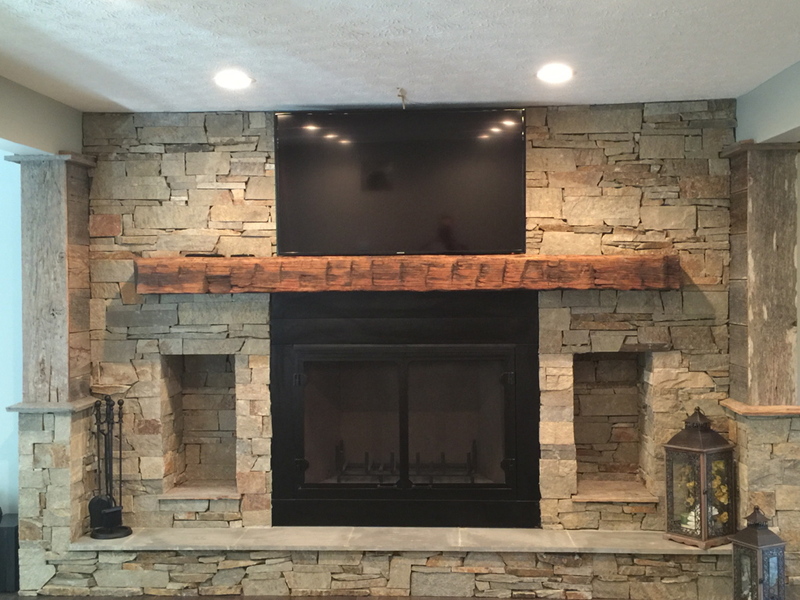 No matter what you decide to do, it’s always important to consider speaking with a professional who has years of experience and is dedicatedto quality materials and service. Call us at 317-483-3093 to talk about your next steps in siding replacement.